SPONSORED CONTENT: This article is paid for and brought to you by Fact Research Group. After a failed root canal, Andrea needed to fix her smile. Having a dental implant placed was the solution to her problem. When it was time for Andrea to get started on the process for implant surgery, she went straight to the Portland-area oral surgery practice, Beacon Oral & Maxillofacial Surgeons. "The procedure went really well," she states. "I was actually quite amazed at how quick and simple it was, and really painless." Andrea, like most dental implant patients, made the right choice. Surgeries of any kind must be performed by a specialized surgeon with advanced training. 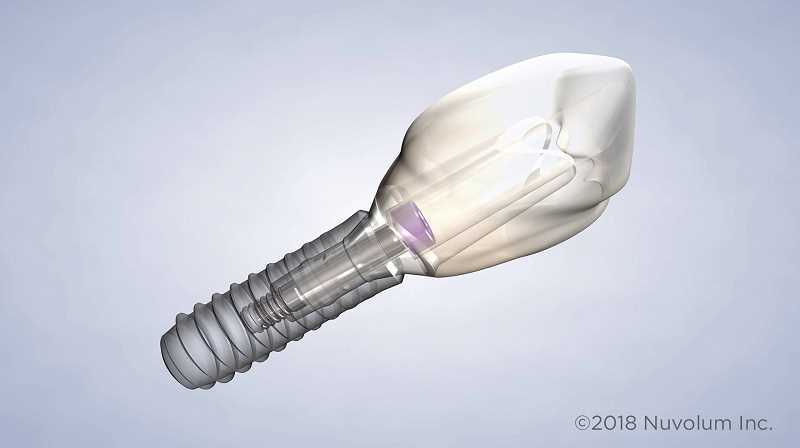 When people considering dental implants make the mistake of seeing a general dentist for their dental implant surgery, their implants are more likely to fail. General dentists do not have the extensive surgical training of oral surgeons and are therefore not surgeons. According to a study published in The Journal of The American Dental Association, the rate of success of dental implants placed by an oral and maxillofacial surgeon is considerably greater than those placed by a general dentist — dentists have a 15% to 20% failure rate, compared to just 2% for oral surgeons. Dr. Russell Lieblick of Beacon Oral & Maxillofacial Surgeons says, "We really love to see that patients value the best treatment and outcomes. It's understandable that so many people come to see us on their own to avoid pitfalls that happened in the past with inexperienced providers." Most people with successful and long-lasting dental implants have an oral surgeon to thank for their new smile. Oral surgeons, like the trusted surgeons that perform heart surgery and other specialized surgical interventions, have years of hospital-based surgical training. Oral surgeons (and their supporting surgical teams) also have additional qualifications and properly equipped facilities to administer IV anesthesia for a comfortable procedure with ongoing and accurate monitoring. If your family dentist does not refer you to an oral surgery specialist for a safe and comfortable dental implant placement, seek a consultation from an oral and maxillofacial surgeon on your own. Most oral surgeons offer consultations for free and are happy to share what they know and evaluate you for personalized care. Board-certified oral surgeon, Dr. Brandon Rehrer, explains, "Patients seek us out because they know they can count on us for our surgical expertise as oral surgeons. They come to Beacon Oral & Maxillofacial Surgeons because they want outstanding care and customized treatment." As you explore the idea of dental implants, take Andrea's lead, and the lead of most informed patients, and have your implants placed by a surgeon for a beautiful result that will last for many years.